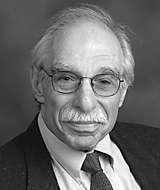 (PhysOrg.com) -- Martin Jesse Klein, a historian of modern physics and former senior editor of "The Collected Papers of Albert Einstein," passed away on March 28. He was 84 years old. At Yale, Klein was the Eugene Higgins Professor Emeritus of the History of Physics and professor emeritus of physics. Klein was an expert on major physicists of the 19th and early 20th centuries. He lectured widely and published a large number of historical papers examining the interrelated developments of quantum mechanics and statistical thermodynamics, with a focus on the work of individual physicists. He wrote about development of Ludwig Boltzmann's statistical ideas, Josiah Willard Gibbs' early work in thermodynamics, Paul Ehrenfest's contributions to the quantum theory and the origins of Erwin Schröe­dinger's wave mechanics. His 1970 biography "Paul Ehrenfest: The Making of a Theoretical Physicist" was widely praised by both physicists and historians of science. As the senior editor of "The Collected Papers of Albert Einstein" 1988-1998, Klein led a team that produced 4 of the 11 volumes published thus far by the project, which explores the evolution of Einstein's thinking on many of the problems of modern physics. His research team dealt with the years during which Einstein moved from his early accomplishments — the theory of special relativity and papers on Brownian motion and the photoelectric effect — to his work on general relativity. In 2005, Klein received the inaugural Abraham Pais Prize, the first major award specifically for the history of physics. The prize selection committee cited Klein's "pioneering studies in the history of 19th and 20th century physics, which embody the highest standards of scholarship and literary expression and have profoundly influenced generations of historians of physics." Klein was born in New York City on June 25, 1924. He graduated from Columbia University at the age of 18 and earned his master's degree there two years later. After his war service during 1944-1946, he completed his Ph.D. in physics at the Massachusetts Institute of Technology in 1948. He joined the faculty of the Department of Physics at Case Institute of Technology (now Case Western Reserve University) in 1949, where he served for 18 years and completed his transformation from a theoretical physicist to a historian of science. In 1967, he joined the faculty of Yale University, where he was chair of the Department of History of Science and Medicine 1971-1974. He was named to the Eugene Higgins Professorship, one of the top ranking chairs for scientists, in 1974. Klein was a National Research Fellow in physics (1952-53), two-time Guggenheim Fellow (1958-59 and 1967-68), and a fellow of the American Association for the Advancement of Science and of the American Physical Society. He was elected to the Académie Internationale d'Histoire des Sciences (1971), the National Academy of Sciences (1977) and the American Academy of Arts and Sciences (1979). In the National Academy of Sciences, Klein was one of only three members who were not primarily scientists. Klein is survived by his daughters Rona Klein of Bowling Green, Ohio; Sarah Zaino of New Haven, Connecticut; Nancy Klein of El Sobrante, California; and Abby Klein of New Haven, Connecticut. In addition, he is survived by his former wives, Miriam Klein and Linda Booz Klein, and was predeceased by his wife, Joan Blewett.